Pre 1500 – Costa Rica lacks evidence of the huge pre-Columbian civilizations like those in Nicaragua and Panama. Costa Rica was inhabited by regional bands of semi nomadic hunters, fisherman and farmers. 1502 – Christopher Columbus arrives in Costa Rica while looking for a passage to the Pacific Ocean. 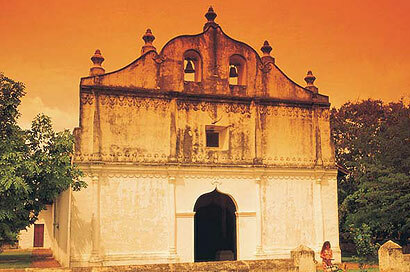 1502-1800 – The Spanish find colonizing Costa Rica slow and frustrating. The Spanish did not find gold or large populations of people to exploit as slaves. They did encounter mountains, jungles, disease and hostile natives. Small groups of isolated Spanish settlements developed and took hold in the Central Valley. Costa Rica was so isolated it developed with very little influence from the Catholic Church and Spain. 1821-1824 – Central America declares its independence from Spain. After a few years of debate and a small civil war, Costa Rica declares its independence. 1824-1900 – Coffee becomes the main cash crop and coffee baron’s accumulate wealth and power. With the power came political turmoil but by 1900 Costa Rica had established a constitution, a controlled military and mandatory education. 1900-1948 – Costa Rica undergoes a series of military takeovers, political and social reforms and civil war. There was also a series of political parties including communism. 1948 – Costa Rican civil war. 1949 – Costa Rica passes a constitution that abolished the military, gave citizenship to Blacks, and granted Women the right to vote. 1949- current day – Since the civil war Costa Rica has been peaceful and fairly prosperous. The economy and standard of living are good and citizens enjoy free health care and education.